For fast everyday drying and styling. 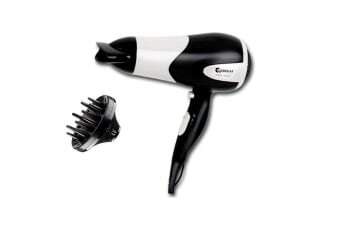 The Sansai 2200W Hair Dryer – Black/White is perfect for fast everyday drying and styling. The Sansai 2200W Hair Dryer – Black/White features a powerful 2200W motor, 3 heat and 2 speed settings, to ensure quick drying results. The cool shot function allows you to set your hair for longer lasting styles.